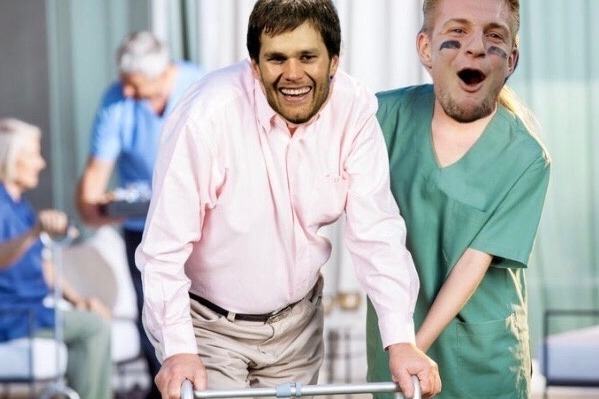 We are raising money in hopes to cover Tom Brady's plane ticket to Florida where a vast majority of retirement homes are located. Our hope is, this will urge him to retire from the NFL and allow another team to win the Super Bowl. We've been informed that Tom will most likely reject our lucrative offer thus all money raised will go directly to The Wounded Warrior Project. See below. More information about Wounded Warrior Project: The mission of Wounded Warrior Project is to honor and empower wounded warriors by raising awareness, helping injured service members aid and assist each other and providing programs and services to meet the needs of injured service members. **Please note eBay sellers who list items for sale are not directly associated with WWP; they have chosen to donate a percentage of their sales to this organization. These funds directly support WWP's mission. For more information, visit www.woundedwarriorproject.org.